Technics has unveiled its Grand Class SL-1200GR Direct-Drive Turntable System today as the must-have unit for enthusiasts. Yeah, this is some serious top-end kit for the real vinyl fans. Like the SL-1200G from 2016 this new GR model uses the same coreless direct-drive motor and precise motor control technology, high-rigidity platter and high-sensitivity tonearm. That should mean the best analogue audio pick-up possible. The new model features a similar coreless direct drive system to last year’s model only with a single rotor rather than dual, plus surface-flooring for elimination of cogging that could otherwise cause less smooth spin. 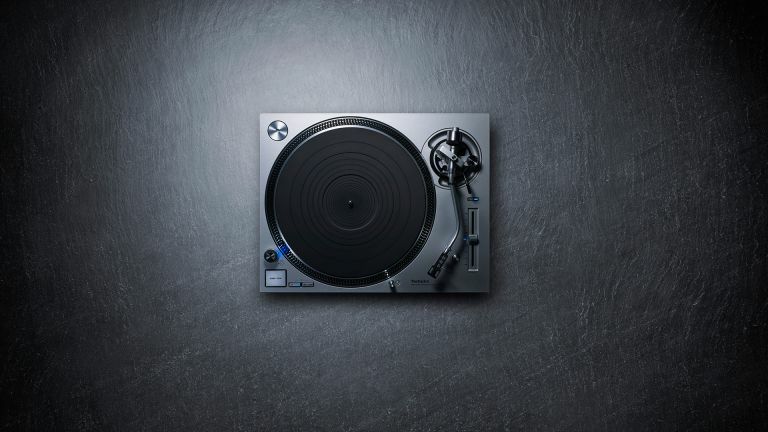 The turntable platter is a hefty 2.5kg of high-rigidity vibration dampening dual-layer aluminium and rubber to avoid resonance. Even the S-shaped tonearm is made of aluminium to ensure a low mass to high rigidity ratio for stable and accurate tracking. High initial-motion sensitivity of 5mg or less is thanks to manual assembly and a gimbal suspension construction with high-precision bearings. Pricing and release date have not been announced for the SL-1200GR but expect it to be slightly less than last year’s SL-1200G model. Technics also announced a new Grand Class SB-G90 floor-standing speaker and a Grand Class SU-G700 amplifier.